Ed Goddard of libcom.org presents the history of student radicalism at the University of Sussex in the early 1970s, with stories of rent strikes, occupations and exam boycotts against university management. Ed, thanks, really enjoyed reading this. Differentiating the rent strikes from the academic disputes provided a good perspective. Hi B_Reasonable, cheers for your feedback! Do you think you might have similar look beyond 1975? 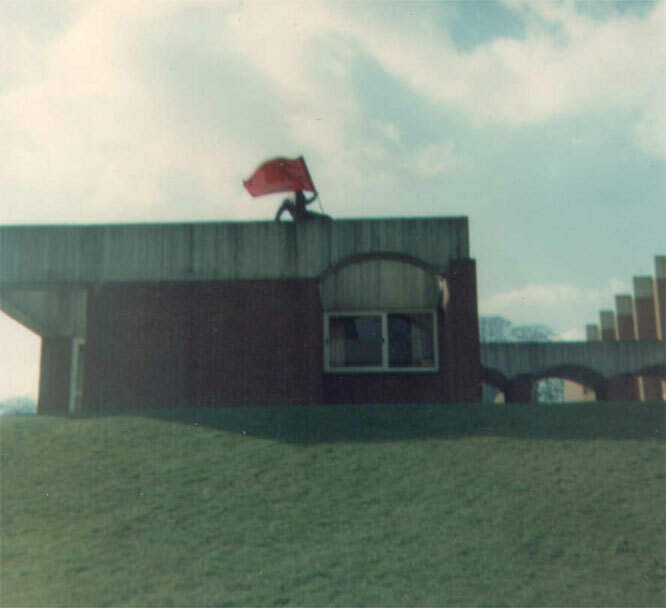 The 1978 prelims dispute, which resulted in the expulsions of (the now late) Richard Flint and Shaun Fensom, might be of interest from a libcom point of view. My vague recollection is, that this resulted in the Labour-dominated union administration being ousted, for not providing sufficient support, and Flint was elected union president, as a 'Libertarian Socialist'. Yeah, like I say in the intro, I would have loved to do research beyond 1975. To be honest, this entire project has been one acceptance of my own limitations after the other (I only put it up the other day because I basically gave up with trying to make it any better!).. As for Flint and Fensom, yes, I came across them, first in conversation with a former student and then while I was going through the archives (but by then I'd already decided to limit my research).. it definitely would be interesting to find out more about this event but sadly I don't live in the UK anymore so access to the archives is impossible for me..
Are you an ex-Sussex student? If so, it would be great to do an interview with you about your experience of activism at Sussex.. it could be added to this as an appendix. If you were up for it then send me a PM and we can take it from there.. Anyway, cheers again for the feedback.. glad you enjoyed reading it! BUMP because (a) this is an excellent pamphlet and (b) because Brighton SolFed have laid it out as a pdf in time for Freshers Fair (attached to the original post). Joseph, as all other PDF attachments are listed as PDF attachments I automatically skip to the bottom looking for them, so I have listed it here as well, so please do that for future PDF attachments as well.